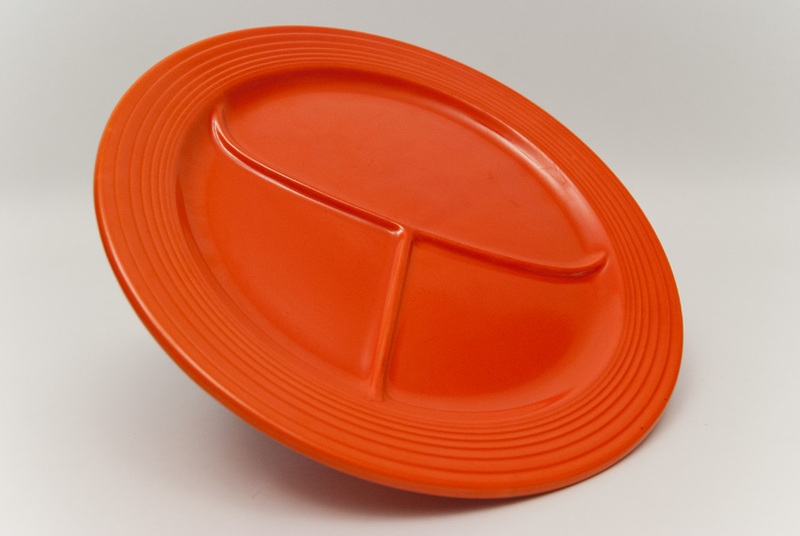 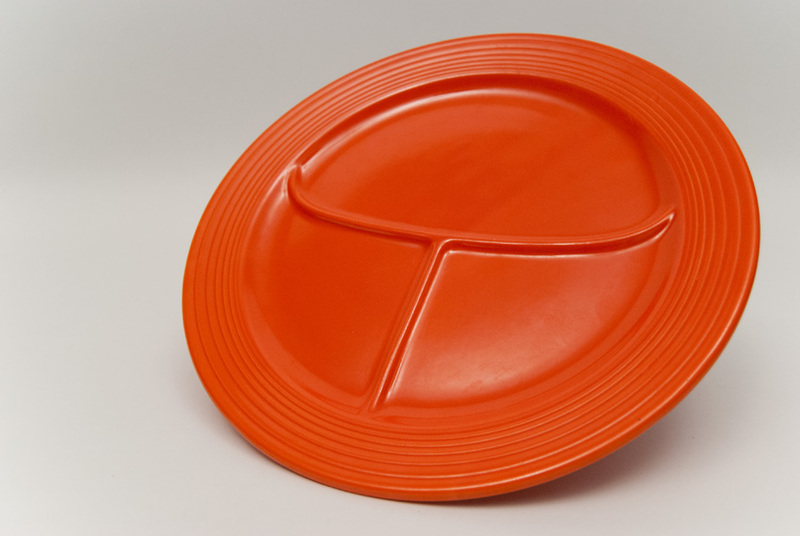 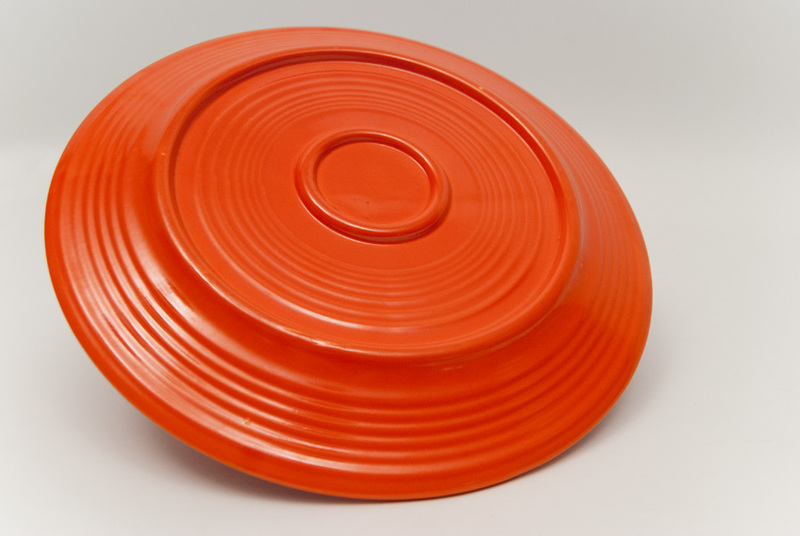 Circa 1936: The large divided plate was only the second piece from the original vintage Fiesta pottery line discontinued, after the mixing bowl lids and yet even before the covered onion soup bowls. The large and ultra-rare 12" divided plate will delight the collecto. 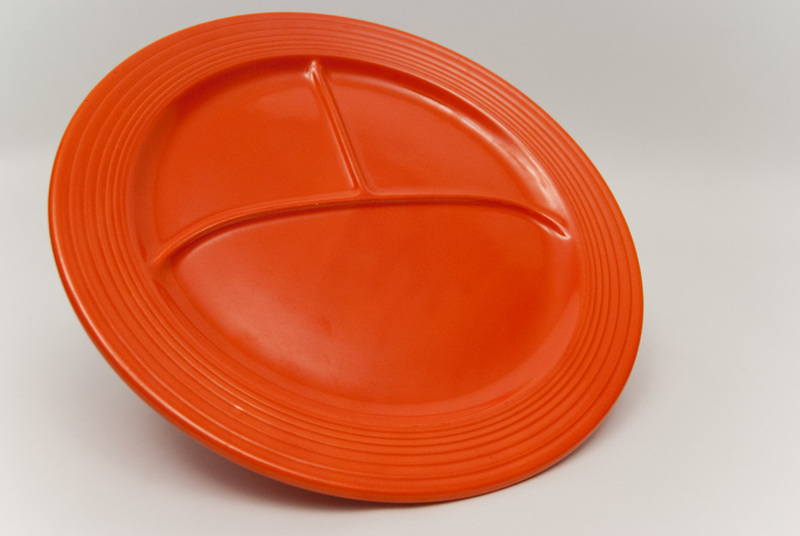 Most desirable in the original red, this 12" divided/compartment plate will delight the collector. 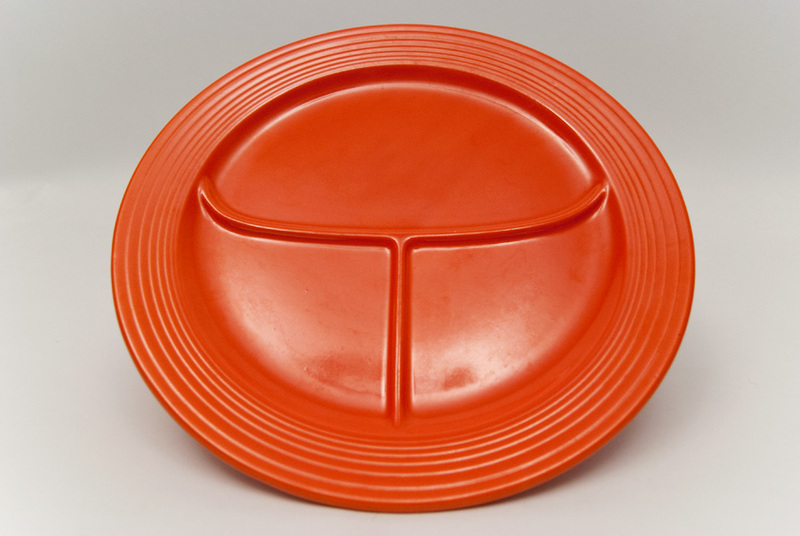 The back is spectacularly designed and this example in red boasts a great shine without damage, scratching or wear to the surface. 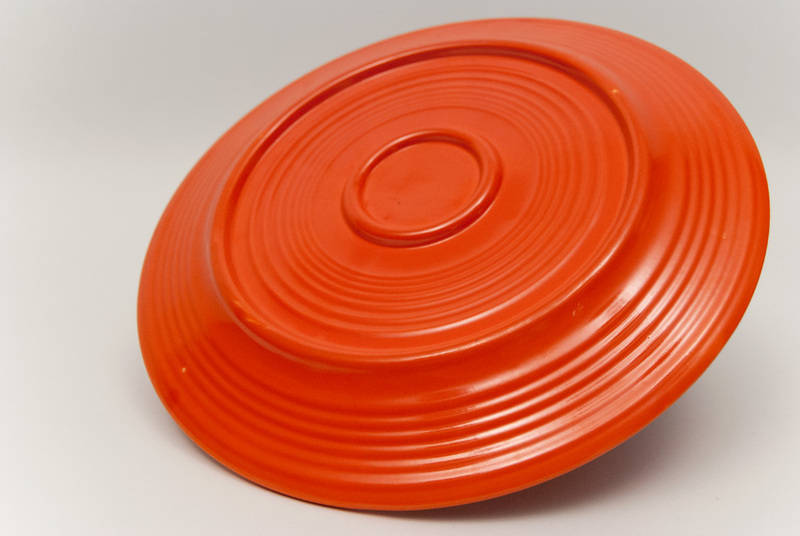 Collectors will appreciate the shine and condition on this rich, early red piece of vintage Fiesta 12 pottery in rare, hard to find condition on one of the earliest pieces available.